Neutral Colored Wall Paint? How could that possibly be bold? When we first bought our house, I couldn’t stand the beige walls. 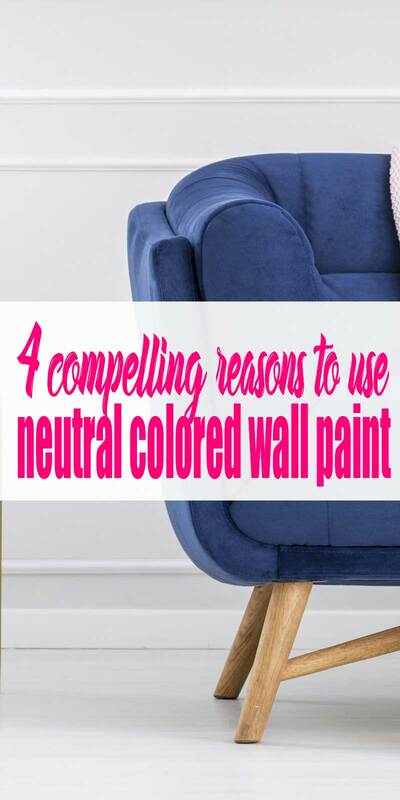 Now, I’m still not a fan of beige, hence the no holds barred tag line thing, but I have come around to the joyful benefits of having neutral walls, preferably a soft white color. But when I started this blog, I used about every color in the whispery striped God-symbol to paint our house! We started with pumpkin in the dining room and Pear Green in the foyer and mud room. I moved on to Moody Blue in the living areas and kitchen, and a dramatic teal color accent wall in the Master, which later I updated with a Sherwin Williams color called Rain. But with stenciled stripes. So it wan’t just a light blue color at all. Oh, and a very hot pink, called Hot, in the office. You can see all these crazy colors here in my first Home Tour gallery. It was so in yo face, I can’t even believe I was that girl. As time marched on its merry way, I began to see these beautifully decorated rooms in a neutral color scheme but with lovely pops of colors all over the place. As I looked around my home, I realized that with all this color on my wall, my accent pieces were all pretty neutral. I started questioning if I had it backwards! And so slowly, I began to swipe that brush again, but in shades of white. You can see all the updates in this post I wrote about decorating a builder grade home. 1. Neutral paint is easier to choose. Now, I know some would disagree, because there really are soooo many shades of greys and whites and browns. But if you aren’t overly picky, I truly think picking a white for the wall is just simpler. It has taken me weeks to pick a colorful color and just days to pick a white. If you go to a reputable paint store, your friendly paint mixologist can recommend their top selling neutrals. Then once I found my go-to white, that was it! No more stressing about paint colors anymore. What a relief! 2. Decor is easier to change than paint. Changing out blankets and pillows and rugs are way easier than painting a room. Painting is so labor intensive and I honestly would rather not do it ever again. Painting the boys rooms back to Moderate White was seriously a pain. I had to do 2 coats of primer before I even started on the white. Then it took 3 coats of the white to fully cover the red and orange each boy had chosen for their room. Of course, it was fun and meaningful for them to pick their own colors, but geez. Never again. Lol. 3. Neutral wall colors change less in the light. If you pick a deep color or medium color or light color, LOL, the light changing during the day will make you color appear significantly different. The Moody Blue I chose for the living room would appear a grey blue in the morning light and then a greenish blue in the afternoon. I was really going for that greenish blue, so half the day drove me bananas. I got used to it, but I would definitely enjoy the afternoons seeing the color that I actually wanted. However, the Snowbound and Moderate White colors I used stayed very true to themselves. Yes, please. 4. A home with neutral room colors is easier to sell. It’s true. We got a lot of comments on the wall colors that we didn’t paint back to Moderate White. We chose to paint only the upstairs because the colors were just so crazy. The bottom half of the rooms were their chosen colors, i.e. maroon in one bedroom and orange in the other. The top third of each room was a light blue color because I couldn’t stand the overwhelming competing color bath of a totally red room and a totally orange room across from each other. The light blue at least game me a feeling of continuity. Ultimately, our house sold and the new owners can and should do whatever they want to the walls! Paint is cheap to fix, but it’s not easy. Or you pay someone and it’s easy, but not cheap. Either way a home with neutral colors will turn fewer buyers off. For sure. Nowadays, I love having neutral walls. I can make any kind of art or decor for the walls and it’s a temporary joy. If I don’t like it, it’s so easy to change out. 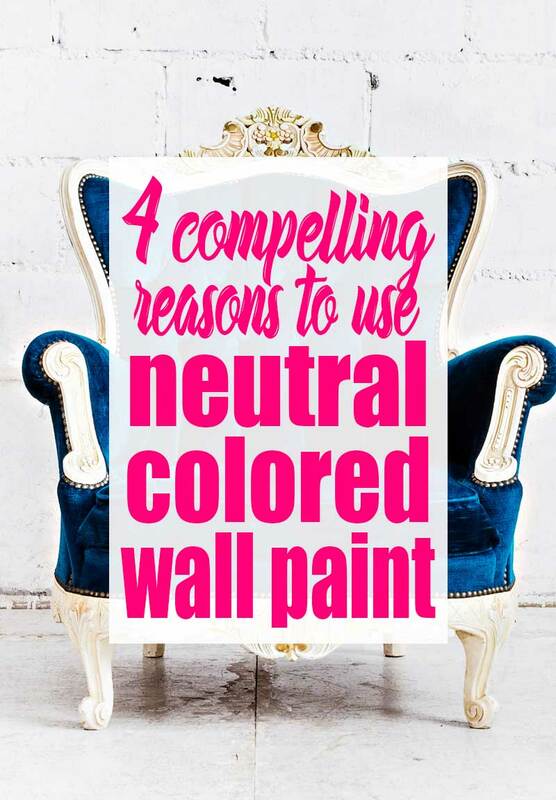 And with neutral walls, the colors pop and don’t overwhelm. Let’s take a look at some fun examples of rooms with neutral colored walls that are, indeed, very Bold! Let’s talk about his kitchen… Mostly white, totally bold. Painting the window frame is a very unexpected touch! And it is way easier to paint over than having to paint the entire room again. Granted this kitchen has some very brightly colored floor tiles, which I love, but they aren’t needed. You could achieve the same feel with a brightly colored rug over hardwood or plain tile. This neutral colored room is anything but boring! Adding brightly colored patterned pillows and tall greenery really make this room Bold in the truest sense of the word! Wow. Could this be more striking? The white walls with this beautiful pink credenza are stunning! What a way to make an impact when your guests first enter your home. Then if you get tired of the pink, just white wash it to tone it down. Easy, peasy. Now, you don’t have to keep all the walls neutral. I love this bedroom with the accent rectangle painted behind the headboard! So beautifully done. And when it feels old, you only have a little bit to paint over. Can’t beat that! So, do you agree with me that neutral walls can be a blank canvas for some very bold design? Pop over to this post on FB and let me know which room you love/like/hate!